Announcement You are welcomed here! Questions? Comments? or say hello, I would love to connect with you! ♥ Instagram @lamixx #lamixx TAG your photos of you in lamixx! We would love to connect with you or share your photo! Emails are responded to Monday - Thursday 9am -5pm PST, thank you for your patience! Your purchase will help bring aid, food and necessities to orphanages and foster homes around world. We pledge to give a portion of each sale directly back to an orphanage and or organization that directly supports a better tommorow. We find joy in being socially responsible and giving back with love. Images are property of Lamixx® 2019 a registered trademark. Do not use without proper consent. Thank you. You are welcomed here! Questions? Comments? or say hello, I would love to connect with you! This was a reorder. These leggings are so well made and comfortable. They are soft, but wear like iron. Very fast delivery. When you can wear your clothes with confidence and a smile, your that much closer to your best life. That matters, you matter. Grateful to be featured on Etsy seasonal favorites! Classy and comfortable, a lamixx favorite! Lamixx Tees are featured at our Stockist in Tennessee, honored to work with boutiques that support USA crafted goods. A write-up and lamixx feature on MSN.com Homespun Style Stars. One of my favorite minimal dresses the Milan lamixx dress, featured on the Today Show. A true honor to be featured. 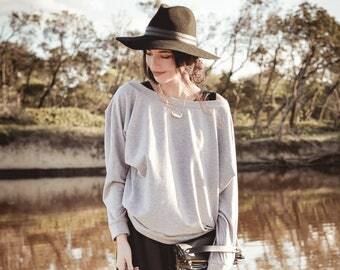 The lamixx dolman sweater worn on fashion icon Elle-May. A close-up of a USA made thread used to hand-sew one of the lamixx pieces. Each piece is crafted with care and quality. From concept, design, pattern to finish, working around the clock to ensure high quality clothing and personal 1 to 1 customer care. Core Value 1: Treat others as you would like to be treated, lamixx will always go the extra mile to serve you. Core Value 2: What is done in love is done well. Each item is made in small batches to insure that each item is crafted with attention, care, and beauty. We want your new lamixx piece to become a staple piece. Core Value 3: Be grateful and humble. Gratitude changes everything. Humility is the foundation for good. Core Value 4: Give Back and Be Generous. Your purchase will help bring aid, food and necessities to orphanages and foster homes around world. We pledge to give a portion of each sale directly back to an orphanage and or organization that directly supports orphans and foster children. We find joy in being socially responsible and giving back with love. From a minimal studio in sunny California USA, I begin lamixx with the passion to make clothing that was touchably luxurious, classically timeless and price conscious. Dreaming of making high quality clothing, that women could wear, feel special, and feel truly beautiful was my goal. With attention to detail, fit and fabric each intricate part of the process is what makes lamixx ultimately wearable. Specializing in high quality tees & tops, with careful attention to detail and craftsmanship. Locally picked thread, fabrics and all made in the lamixx design studio. A true joy to make something you will love to wear. Thank you for being apart of this journey, stay awhile… ♥ My name is Jacqueline and I design clothing for women to feel beautiful, stylish, comfortable and truly loved. Part time seamstress and my biggest supporter. My mother. She assist me and works extra hard to make sure our pieces are just about perfect.